Rosamonte Clássica brewed with water at 80°C is sure to get you up and running. Add no sweeteners if you’re brave. 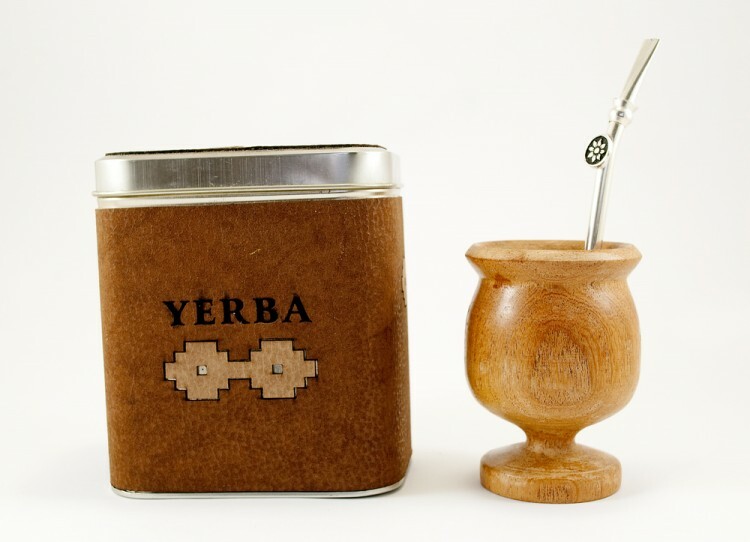 The taste is quite strong, making it the perfect yerba to get you ready for a long day of work. Fairly acceptable yerba for an unbeatable price. Drink 4 mates, wait an hour and repeat the dosage. Its ideal to help you comprehend even the most incomprehensible works of sociology. With this method you should have no problems with heartburn, though your reading might cause your mind to burn out. Ideal remedy to shake off that notorious after lunch laziness. There is nothing like a nice mate to help you regain your vigor and finish your work with dignity; Cruz de Malta Sección Especial tastes pretty good and will hold its taste until the end of your working hours. Lá Rubia is a very special Paraguayan yerba, but also a bit hard to come around. It has a really nice floral taste and aroma, which will appeal to both new and seasoned drinkers. The fact that only a limited number of this yerba is sold each year, makes it the perfect brand to have in your cupboard for a more special occasion. Well…at least that was my idea, but I couldn’t resist it and ended up consuming it long before any special occasion. I’m not really a big fan of “mate with flavor”, but even I must admit that there are times when they do come in handy. Taragüi con Naranja is the perfect yerba for a nice cold Tereré in a hot summer day. The trick is to pour in some ice along with the cold water. The orange notes will do the rest. La Merced is the type of yerba that would easily appeal to people who drive around in fancy cars with a beret on their head and a scarf around their neck. The yerba itself costs more than other brands of the same kind. Perhaps because it is packaged inside a metal casing like an expensive piece of jewelry? Anyway, the Campo blend is the ideal choice for afternoon teas with your french poodle outside the club house. Barão de Cotegipe Premium is a typical Brazilian gaucho blend with a distinctive strong flavor. I have seen people adding coffee grains to it in order to make it even stronger and more bitter. If you enjoy testing your limits or simply want to add more Kick to your yerba mate experience, then Barão Premium is definitely for you! Mate is meant to unite people, but the question of whether it is best consumed with or without sugar often tends to tear them apart. La Unión seems to have solved this problem by coming up with one of the most “diplomatic” yerbas in the market. Not so bitter, but also not so sweet, this yerba is sure to please both Trojans and Greeks. It works well for both palates, while never really dazzling either one. Looking for a great organic yerba for a very reasonable price? Hailing from the Rio Itambey region in Paraguay, Fede Rico Orgánica is a smoke-free and 100% organic product. Unlike other “organic” yerbas, it is certified by the USDA and by Ecogarantie. Unlike other Paraguayan yerbas, it has a mild taste, which lasts for several cycles and a good balance of powder and stems.